Sushi lovers are being warned of the dangers of ingesting parasites from raw and undercooked fish. 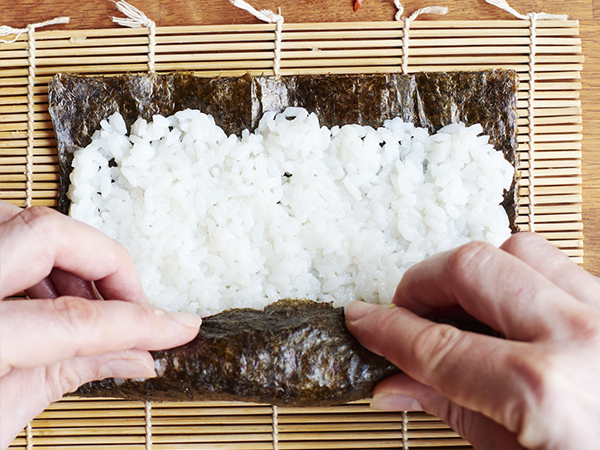 While sushi may sound like a healthy choice of snack, it can be dangerous to consume if it contains raw fish which has not been prepared properly. Doctors writing in British Medical Journal Case Reports have documented the case of a 32-year-old Portuguese man who went to an emergency room after suffering from vomiting, severe gut pain and a low grade fever for about a week. A blood test indicated mild inflammation, while the area below his ribs was tender. But it was only after the man revealed he had recently eaten sushi that doctors suspected he might have anisakiasis, which is caused by eating raw or undercooked fish/seafood infected with nematode parasites of the species Anisakis which invade the stomach wall or intestine of humans. Doctors proceeded to perform an endoscopy on the man, and inserted a long tube with a camera into the stomach. They discovered the larvae of a worm-like parasite firmly attached to an area of swollen and inflamed gut lining. After the larva was removed with a special kind of net, the man's "symptoms cleared up straight away," a team from a Lisbon hospital reported. Read more: Could restaurant food be just as bad as take-aways? While most cases of anisakiasis to date had been reported in Japan, where a raw fish diet is common, researchers have noted a rise in such cases in more countries. "It has been increasingly recognised in Western countries," said the study authors. The researchers are now advising clinicians to consider the condition in patients with pain, nausea, vomiting and other complications, such as bowel obstruction and bleeding, who have recently eaten raw or undercooked fish. The U.K. National Health Service (NHS) website states that Atlantic salmon and sea trout caught at sea or in U.K. rivers are also known to be at risk of being infected with same species of parasite. It is advised that the fish is gutted and frozen for at least four days and cooked thoroughly before being eaten.